Then make sure you check out my Top 11 Digital Agency Resources. I’m often asked how I know so much about scaling digital agencies. Sure, I founded and ran a big digital agency for 12 years. But what’s the real secret for driving agency new business? A huge part of our success is continually “practicing what we preach”. We self-test every innovative tactics, tweak every process and evolve our systems before ever advising a client on them. It’s my drive for continually educating myself on our ever-changing industry and adapting with those changes which makes me successful as an advisor and coach for agency new business. I marry my natural instincts, core knowledge and past experiences to the evolving technologies and trends of the industry to innovate strategies that help digital agencies move forward in their journey to grow and scale. Of course I am going to rank this one #1:) A podcast hosted by me with topics relating to growing and scaling agencies. 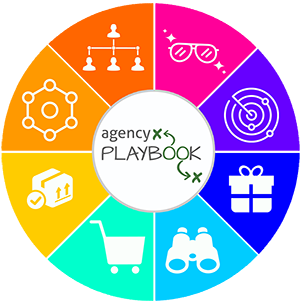 Podcast guests include agency owners, industry experts and thought leaders who provide insight and immediately actionable strategies for building a successful agency. A blog managed by Hubspot that is geared toward agency professionals. Posts touch on topics such as: lead generation, client relations, internal issues, leadership, and business growth. 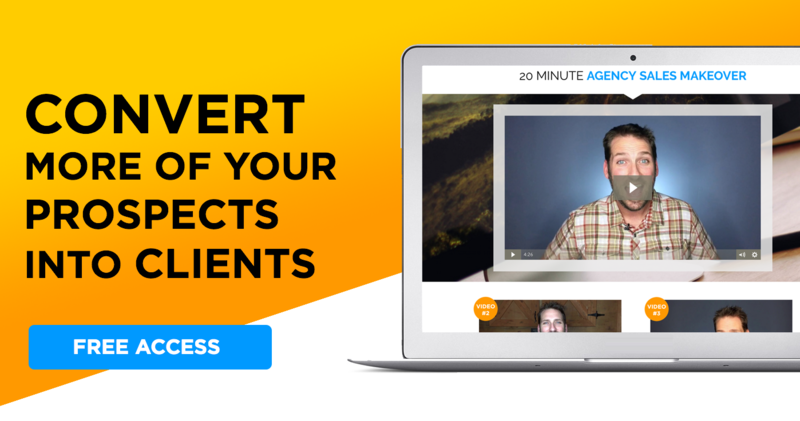 A podcast produced by Leadpages that provides real-life case studies from marketers who are in the trenches. These marketers share hard data and provide information on one tactics they used to increase their numbers. A podcast hosted by the Founders of Proposify (and former agency owners) who interview digital agency owners from around the world to hear stories and learn practical lessons. SoDA serves as a network and voice for entrepreneurs and innovators around the globe who are creating the future of marketing and digital experiences. The society is the primary global organization focused on leading and representing digital agencies and production companies in collaboration, knowledge sharing and support. A national trade association representing agencies in the U.S. Members benefit from consulting services, professional development, government relations, research services and employee benefits support. A British site dedicated to client/agency pitches. The research-based information includes best practices such as: efficiencies in pitching costs, alternatives, and toolkit items for successful pitches. As a global media platform and the largest marketing website in Europe, The Drum is dedicated to showcasing, celebrating and inspiring great work by providing industry news from around the globe. In addition to reporting, The Drum hosts live events and peer-learning communities. Based in Glasgow, London and New York City. Both media and consulting site led by Jay Baer, content marketing and social media expert. Content from Convince & Convert can be consumed by blog, podcast and Baer’s five books. Consulting is provided in areas of strategy, content and social. A hub for marketing industry professionals created by Rand Fishkin (founder of Moz) and Dharmesh Shah (founder of Hubspot). Members of the organization can post jobs, ask questions and share ideas by commenting, connecting, interacting and learning from one another. Education and project management software for inbound agencies. Different from other platforms, DoInbound integrates planning with execution, ties activities to results and keeps processes where the work is done.